The choices we make everyday pertaining to the food we eat, the water we consume, energy we use and our cleaning products can have a positive or negative impact on the planet we live. There are many ingredients in your own kitchen or bathroom cupboard that could easily be substituted for cleaners. More and more people are looking for natural ways of cleaning as their concerns grow over chemicals in cleaners that can cause eye, nose and throat irritation, headaches and dizziness. Many common household cleaners contain alcohol, ammonia, bleach, formaldehyde and lye, substances that can cause nausea, vomiting, inflammation and burning of the eyes and throat. Environmentalists have linked these ingredients with neurological, liver and kidney damage, asthma and cancer. Cleaning without toxic chemicals is known as "green" or "nontoxic" cleaning. It's in what you use to clean the surfaces in your home. What you breathe and what you touch. Today's modern home is loaded with toxic substances designed to make life easier. These chemicals are slowly killing us and the environment around us. Making your own cleaning products actually saves you money and can help save our children's inherited world. The simple act of ridding our homes of chemicals gives us peace of mind. If we can reduce household pollution then we're doing our share to save the planet. Combinations of the above basic products can provide less harmful substitutions for many commercial home products. In most cases, they're also less expensive. DO NOT mix anything with a commercial cleaning agent. If you do store a homemade mixture, make sure it is labeled While preparing, mix only what is needed and mix in clean containers. These formulas and substitutions are offered to help minimize the use of toxic substances in your home, and reduce the environmental harm caused by the manufacture, use and disposal of toxics. Results may vary and cannot be guaranteed to be 100% safe and effective. Before applying any cleaning formulations, test in small hidden areas if possible. Always use caution with any new product in your home. Make sure to keep all home-made formulas well-labeled, and out of the reach of children. Be safe! Do NOT mix these cleaning recipes with other cleaning products. NEVER mix chlorine bleach with these recipes or any other cleaning product-if you do, you risk a sudden release of chlorine gas which can harm (even kill) you. 1. Air Freshener : Commercial air fresheners mask smells and coat nasal passages to diminish the sense of smell. Baking soda or vinegar with lemon juice in small dishes absorbs odors around the house. Having houseplants helps reduce odors in the home. Prevent cooking odors by simmering vinegar (1 tbsp in 1 cup water) on the stove while cooking. To get such smells as fish and onion off utensils and cutting boards, wipe them with vinegar and wash in soapy water. Keep fresh coffee grounds on the counter. Grind up a slice of lemon in the garbage disposal. Simmer water and cinnamon or other spices on stove. Place bowls of fragrant dried herbs and flowers in room. In a large spray bottle, combine vinegar and dish soap. Add baking soda and wait until foaming stops. Add 2 cups warm water, shake to mix. This spray works great! Spray on area to be cleaned and wipe with a clean rag. If heavily soiled, spray and let sit a few minutes before wiping clean. 3. All over home cleaning : Never underestimate good old hot water and some scrubbing. If you really want to get fancy add a few drops of natural soap, but honestly hot water will clean just about anything. Alone it won’t completely disinfect, but it does kill many germs and removes dust. Hot water is especially useful for basic floor mopping. All-Purpose Cleaner: Mix ½ cup vinegar and ¼ cup baking soda (or 2 teaspoons borax) into ½ gallon (2 liters) water. Store and keep. Use for removal of water deposit stains on shower stall panels, bathroom chrome fixtures, windows, bathroom mirrors, etc. Another alternative is microfiber cloths which lift off dirt, grease and dust without the need for cleaning chemicals, because they are formulated to penetrate and trap dirt. There are a number of different brands. A good quality cloth can last for several years. 4. 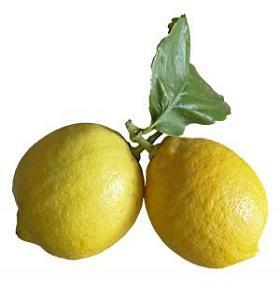 Brass cleaner :Cut a lemon in half, sprinkle it with salt and rub the lemon on the metal. Buff with a cloth. 5. Burnt food or fishy kitchen smells : Set aside a thrift store pie plate for times like these. Sprinkle the pan with cinnamon, nutmeg, and a dash of orange essential oil - place in the warm oven, and let it sit as the oven cools. 6. Carpet stains Cleaner : Mix equal parts white vinegar and water in a spray bottle. Spray directly on stain, let sit for several minutes, and clean with a brush or sponge using warm soapy water. For a heavy duty carpet cleaner, mix ¼ cup each of salt, borax and vinegar. Rub paste into carpet and leave for a few hours, Vacuum. Carpet stains removal: Sprinkle Fuller’s earth or cornstarch onto the spot. Allow it to sit for about 20-30 minutes. Scrub with one cup vinegar mixed with three cups water. If it really won’t come out try a natural soap based carpet cleaner. 7. Chopping block cleaner : Rub a slice of lemon across a chopping block to disinfect the surface. For tougher stains, squeeze some of the lemon juice onto the spot and let sit for 10 minutes, then wipe. 8. Coffee and tea stains Cleaner:Stains in cups can be removed by applying vinegar to a sponge and wiping. To clean a teakettle or coffee maker, add 2 cups water and 1/4 cup vinegar; bring to a boil. Let cool, wipe with a clean cloth and rinse thoroughly with water. 9. Copper cleaner : Make a paste with equal parts white vinegar, flour and salt, leave on for an hour and then buff with a cloth. 10. Crystal Cleaner : Try a mixture of vinegar, water and a small amount of baking soda. Pour on a soft cloth and rub. Deodorizer (Carpet): Sprinkle baking soda around the room. Add some dried crushed lavender or basil. Wait about ½ hour, Vacuum. 12. Dishwasher Soap : Mix equal parts of borax and washing soda, but increase the washing soda if your water is hard. Dishwasher Soap: Commercial low-phosphate detergents are not themselves harmful, but phosphates nourish algae which use up oxygen in waterways. A detergent substitution is to use liquid soap. Add 2 or 3 tablespoons of vinegar to the warm, soapy water for tough jobs. 13. Disinfectant: Mix 2 teaspoons borax, 4 tablespoons vinegar and 3 cups hot water. For stronger cleaning power add ¼ teaspoon liquid castile soap. Wipe on with dampened cloth or use non-aerosol spray bottle. (This is not an antibacterial formula. The average kitchen or bathroom does not require antibacterial cleaners.) To disinfect kitchen sponges, put them in the dishwasher when running a load. Disinfectant all purpose cleaner: Mix a few drops of natural soap, 2 cups water, and 15 drops each of tea tree and lavender essential oil (you can use just the one oil- but 30 drops, I just like the mix). You can spray this on all surfaces, like cutting boards, counters, toilets, walls, (except it will streak glass). This stuff disinfects but is so safe you can actually spray it on your baby - you can’t say that about most commercial household cleaners. Disinfectant (Herbal): Choose one fresh herb - lavender, eucalyptus, juniper, sage, thyme, or rosemary. Simmer the leaves and stems for 30 minutes. You can use any amount of water, but the less you use the stronger the solution and disinfectant properties. Strain, pour liquid into bottle, and use on any surface but glass. If you add a dash of natural soap or biodegradable dish detergent it will cut grease. 14. Drains (Clog Sink & Bathtub) : Prevent clogs altogether with the amazing drain trap, use a drain trap available for $2/- or less. If you have a sluggish drain, pour a cup of white vinegar plus one cup baking soda into the drain. Let that sit for a few minutes (it will bubble). Flush with a teapot full of boiling water. If you really have issues, use a snake or plunger. Drain cleaner is honestly something you should never have in your home - it’s hands down one of the more dangerous cleaning items. Drain Cleaner: Pour 125 ml of baking soda down the sink and add at least a cup of vinegar. Put the cover on the drain and wait a few minutes. Finish by rinsing through with a mixture of boiling water and salt. Drain Cleaner: Fill a large pot or tea kettle with water and bring to a boil. Put 1 cup baking soda down drain, then 1 cup white vinegar. It will bubble and fizz. After 3-5 minutes, flush drain with boiling water. Repeat as necessary until drain runs clear. Drain Cleaner: For light drain cleaning, mix ½ cup salt in 4 liters water, heat (but not to a boil) and pour down the drain. For stronger cleaning, pour about ½ cup baking soda down the drain, then ½ cup vinegar. The resulting chemical reaction can break fatty acids down into soap and glycerin, allowing the clog to wash down the drain. After 15 minutes, pour in boiling water to clear residue. Caution: only use this method with metal plumbing. Plastic pipes can melt if excess boiling water is used. Also, do not use this method after trying a commercial drain opener--the vinegar can react with the drain opener to create dangerous fumes. 15. Fabric softener: To reduce static cling, dampen your hands, than shake out your clothes as you remove them from the drier. Line-drying clothing is another alternative. Fabric Softener: When washing your clothes, substitute your regular liquid fabric softener for white vinegar. Not only will your clothes be cleaner, but they will be soft as well. This is a great alternative for those with allergies. You can also use the vinegar in the wash cycle before you add the liquid softener, or use dryer sheets to have your favorite laundry scent. Combine ingredients in a bucket of warm water and mix until sudsy. Scrub floor with mop or rag. Rinse with clean water. Vinyl and linoleum: mix 1 cup vinegar and a few drops of baby oil in 1 gallon warm water. For tough jobs, add ¼ cup borox. Use sparingly on linoleum. wood: apply a thin coat of 1:1 vegetable oil and vinegar and rub in well. painted wood: mix 1 teaspoon washing soda into 1 gallon (4L) hot water. brick and stone tiles: mix 1 cup white vinegar in 1 gallon (4L) water; rinse with clear water. Most floor surfaces can be easily cleaned using a solution of vinegar and water. Damp-mopping wood floors: mix equal amounts of white distilled vinegar and water. Add 15 drops of pure peppermint oil; shake to mix. 17. Furniture Polish : For varnished wood: add a few drops of lemon oil into a ½ cup warm water. Mix well and spray onto a soft cotton cloth. Cloth should only be slightly damp. Wipe furniture with the cloth, and finish by wiping once more using a dry soft cotton cloth. For unvarnished wood, mix two table spoons each of olive oil and lemon juice and apply a small amount to a soft cotton cloth. Wring the cloth to spread the mixture further into the material and apply to the furniture using wide strokes. This helps distribute the oil evenly. Furniture polish: Mix 1/4 cup vinegar with 3/4 cup olive oil OR mix 1/4 cup lemon juice with ½ cup olive oil. Wipe down furniture with a soft cloth and the solution. Furniture Polish: Use one part white distilled vinegar and three parts olive oil. Add a little natural lemon oil (not the synthetic kind) and you’ve got a great polish! 18. Glass cleaner : Blend 75 ml of vinegar, a spoonful of cornstarch and a liter of warm water. Apply with a sponge and wipe dry. No streaks! Glass cleaner that does not smell like gross old vinegar: Use straight up lemon juice or club soda. If you use club soda than newspaper is the best scrubber to use. If you use lemon juice than use an old less linty cloth. .
19. Laundry Detergent : Mix 1 cup Ivory soap (or Fels Naptha soap), ½ cup washing soda and ½ cup borax. Use 1 teaspoon for light loads; 2 teaspoon for heavy loads. 20. Laundry machines cleaning : Once a year, put a cup or more of distilled white vinegar in the washing machine and run a full cycle to clean it. 21. Lime Deposits : You can reduce lime deposits in your teakettle by putting in ½ cup (125ml) white vinegar and 2 cups water, and gently boiling for a few minutes. Rinse well with fresh water while kettle is still warm. 22. Kitchen cleanser : Use baking soda on non-scratch surfaces and vinegar and water mixture on all others. 23. Glass cleaner : Blend 75 ml of vinegar, a spoonful of cornstarch and a liter of warm water. Apply with a sponge and wipe dry. No streaks! 24. Marks on walls and painted surfaces : Many ink spots, pencil, crayon or marker spots can be cleaned from painted surfaces using baking soda applied to a damp sponge. Rub gently, then wipe and rinse. Aluminum: using a soft cloth, clean with a solution of cream of tartar and water. Brass or bronze: polish with a soft cloth dipped in lemon and baking-soda solution, or vinegar and salt solution. Chrome: polish with baby oil, vinegar, or aluminum foil shiny side out. Copper: soak a cotton rag in a pot of boiling water with 1 tablespoon salt and 1 cup white vinegar. Apply to copper while hot; let cool, then wipe clean. For tougher jobs, sprinkle baking soda or lemon juice on a soft cloth, then wipe. Copper cookware, sprinkle a lemon wedge with salt, then scrub. Gold: clean with toothpaste, or a paste of salt, vinegar, and flour. Silver: line a pan with aluminum foil and fill with water; add a teaspoon each of baking soda and salt. Bring to a boil and immerse silver. Polish with soft cloth. Stainless steel: clean with a cloth dampened with undiluted white vinegar, or olive oil. For stainless cookware, mix 4 tbs baking soda in 1 qt water, and apply using a soft cloth. Wipe dry using a clean cloth. 26. Microwave cleaning: Place a bowl of straight vinegar or a bowl of water with 15 drops tea tree oil in the microwave. Heat for about 2 minutes. Microwave will steam itself and be easy to wipe out with a wet cloth. 27. Mold Cleaner (Bathroom): Mold in bathroom tile grout is a common problem and can be a health concern. Mix one part hydrogen peroxide (3%) with two parts water in a spray bottle and spray on areas with mold. Wait at least one hour before rinsing or using shower. Mold and Mildew: Use white vinegar or lemon juice full strength. Apply with a sponge or scrubby. Mold and Mildew Treatment: A spray made from one drop of tea tree oil to one cup of water will help clean up most mold and mildew problems. Keep the solution handy in a spray bottle—it should last for months. A simple vinegar spray ( ½ cup distilled white vinegar to one cup water) is also effective and has a less intense scent. Mold removal: Try not to let mold invade your home. You can prevent it - Clean often with the disinfectant above and scrub down places that might develop mold with Borax once in a while. Borax will prevent mold and disinfect. 28. Mothballs replacement : The common mothball is made of paradichlorobenzene, which is harmful to liver and kidneys. Cedar chips in a cheesecloth square, or cedar oil in an absorbent cloth will repel moths. The cedar should be 'aromatic cedar', also referred to as juniper in some areas. Cedar chips are available at many craft supply stores, or make your own using a plane and a block of cedar from the lumberyard. Homemade moth-repelling sachets can also be made with lavender, rosemary, vetiver and rose petals. Dried lemon peels are also a natural moth deterrent. Simply toss into clothes chest, or tie in cheesecloth and hang in the closet. 29. Musty stuff : Say you have an old suitcase or truck that’s all musty, but you’d like to use it. Fill it with recycled crumpled newspaper let it sit for a week. The paper will absorb the smell (mostly) then, fill a mister bottle with water, add a few drops of tea tree oil, lightly spray the case and leave it open to dry. 30. Oil and Grease Spots : Small spills on the garage floor, add baking soda and scrub with wet brush. 31. Oven Cleaner: Moisten oven surfaces with sponge and water. Use ¾ cup baking soda, ¼ cup salt and ¼ cup water to make a thick paste, and spread throughout oven interior. (avoid bare metal and any openings) Let sit overnight. Remove with spatula and wipe clean. Rub gently with fine steel wool for tough spots. Or use Arm & Hammer Oven Cleaner, declared nontoxic by Consumers Union. Oven cleaner: Sprinkle water inside oven, add baking soda. Let sit overnight and scour with a plastic sponge. Fill a shallow pan with about 1 inch of white vinegar and let sit in oven/microwave overnight. In the morning, use the vinegar and hot water to wipe off all grease and grime. If you use cut up lemons/oranges, fill the shallow pan with water and put 2-3 cut up citrus fruit in water. Set the pan in oven/microwave and heat to boil and let sit overnight. In the morning, wipe down with hot water. 32. Paint Brush Cleaner: Non-toxic, citrus oil based solvents are now available commercially under several brand names. This works well for cleaning brushes of oil-based paints. Paint brushes and rollers used for an on-going project can be saved overnight, or even up to a week, without cleaning at all. Simply wrap the brush or roller snugly in a plastic bag, such as a used bread or produce bag. Squeeze out air pockets and store away from light. The paint won't dry because air can't get to it. Simply unwrap the brush or roller the next day and continue with the job. 33. Paint (Fresh) odors: Can be reduced by placing a small dish of white vinegar in the room. 34. Rust removal: Vinegar can help remove rust on nuts and bolts and other mineral deposits such as calcium deposits. Rust Remover: Sprinkle a little salt on the rust, squeeze a lime over the salt until it is well soaked. Leave the mixture on for 2 - 3 hours. Use leftover rind to scrub residue. 35. Scouring / Scrubbing Pad: Horsetail stems are just like a scouring pad for pots and pans and won’t scratch. Simply rub a handful of dried (leafless) stems on the pots and pans. It will leave a bit of a green color - but that washes right off in water. Since you’re washing dishes anyhow it won’t be an issue. Scrubber - Creamy Soft: Simply pour about ½ cup of baking soda into a bowl, and add enough liquid detergent to make a texture like frosting. Scoop the mixture onto a sponge, and wash the surface. This is the perfect recipe for cleaning the bathtub because it rinses easily and doesn’t leave grit. Note: Add 1 teaspoon of vegetable glycerin to the mixture and store in a sealed glass jar, to keep the product moist. Otherwise just make as much as you need at a time. 36. Shoe Polish: Olive oil with a few drops of lemon juice can be applied to shoes with a thick cotton or terry rag. Leave for a few minutes; wipe and buff with a clean, dry rag. 37. Silver polish: Put a sheet of aluminum foil into a plastic or glass bowl. Sprinkle the foil with salt and baking soda and fill bowl with warm water. Soak your silver in the bowl and tarnish migrates to the foil. Dry and buff. Get a large glass dish and line it with tinfoil. Let this soak for thirty minutes. Take silver out of dish, polish with toothpaste and rinse. 38. Sink cleaner: Scrub with baking soda and water. 39. Soap scum removal: Apply baking soda (it is non abrasive). Scrub with a damp cloth or sponge. I have an older bristle brush I use for icky scum - like when I go to long without cleaning (bad me). You can use Borax or vinegar too; but Borax can scratch. Vinegar can be applied directly, left to sit, and scrubbed down. 40. Stickers on walls: Children covered the inside of their room doors with stickers. Now they are grown, but the stickers remained. To remove, sponge vinegar over them several times, and wait 15 minutes, then rub off the stickers. This also works for price tags (stickers) on tools, etc. 41. Tile/linoleum floors: Dissolve 1–2 teaspoons of dishwashing soap in 3 gallons of warm water. Mop floor with this solution; to rinse – follow this procedure with 1 cup of white vinegar in 3 gallons of cool water. 42. Toilet bowl cleaner: Sprinkle baking soda around the inside of the toilet bowl and clean with toilet brush. Also drop some white vinegar into the bowl and let sit a few minutes before cleaning with the brush. Toilet cleaning : Sprinkle some baking soda and lemon juice into your toilet and walk away. Eventually you’ll want to return and scrub it with a toilet brush. Toilet Bowl Cleaner: (best if you shut off valve to toilet and reduce water in bowl while cleaning). Sprinkle baking soda inside the bowl. Squeeze a couple of drops of Murphy’s Oil or Castile Soap in also. Scrub with a toilet bowl brush and finish outside surfaces with a rag sprinkled with baking soda. Rinse well with clean water. 43. Tub / Tile and Sink Cleaner: Use baking soda in place of scouring powder. Sprinkle baking soda on porcelain fixtures and rub with a wet rag. Add Castile Soap or Murphy’s Oil Soap to the rag for more cleaning power. Rinse well with clean water. Tub and Tile cleaner: Mix 400 ml baking soda, 125 ml liquid soap, 125 ml water and a few spoonfuls of vinegar. Apply, scrub and wipe. 44. Wall and/or General Heavy Duty Wash: Use washing soda (sodium carbonate) instead of TSP to wash heavily stained walls. Washing soda is in the same family as baking soda but it is much more caustic/alkaline. It is available in the laundry section of supermarkets. For general heavy duty cleaning, mix 2 tablespoons of washing soda with 2 cups of hot water. Wash dirty areas with a sponge, let dry and rinse. USE GLOVES as this is a very strong cleaner. 45. Wallpaper Remover: Mix equal parts of white vinegar and hot water, apply with sponge over the old wallpaper to soften the adhesive. Open room windows or use a fan to dissipate the pungent vinegar smell. 46. Water Rings on Wood: Water rings on a wooden table or counter are the result of moisture that is trapped under the topcoat, but not the finish. Try applying toothpaste or mayonnaise to a damp cloth and rub into the ring. Once the ring is removed, buff the entire wood surface. 47. Window cleaner: Put 75 ml of vinegar for every liter of water in a spray bottle. Window & Mirror Cleaner: Mix 2 teaspoons of white vinegar with 1 liter (qt) warm water. Use crumpled newspaper or cotton cloth to clean. Don't clean windows if the sun is on them, or if they are warm, or streaks will show on drying. The All-Purpose Cleaner (above) also works well on windows. Be sure to follow the recipe, because using too strong a solution of vinegar will etch the glass and eventually cloud it. Mix all ingredients and pour into plastic spray bottle. Shake well before using. 48. Wood floor wax: Mix equal parts olive oil and vinegar. Apply a very thin coat and rub - you can simply stand on an old towel and sort of surf around the floor. Wood floors: Dissolve 3 tablespoons of baking soda and 1 cup of white vinegar in 3 gallons of warm water. After mopping, wipe dry. 49. Other Natural Alternatives: There are many inexpensive, easy-to-use natural alternatives which can safely be used in place of commercial household products. Here is a list of common, environmentally safe products which can be used alone or in combination for a wealth of household applications. Toothpaste: Diminishes glass scratches, lifts crayon marks off the floor. Baking Soda: cleans, deodorizes, softens water, scours. Soap: unscented soap in liquid form, flakes, powders or bars is biodegradable and will clean just about anything. Avoid using soaps which contain petroleum distillates. Lemon: one of the strongest food-acids, effective against most household bacteria. Borax: (sodium borate): cleans, deodorizes, disinfects, softens water, cleans wallpaper, painted walls and floors. White Vinegar: cuts grease, removes mildew, odors, some stains and wax build-up. Washing Soda: or SAL Soda is sodium carbonate decahydrate, a mineral. Washing soda cuts grease, removes stains, softens water, cleans wall, tiles, sinks and tubs. Use care, as washing soda can irritate mucous membranes. Do not use on aluminum. Isopropyl Alcohol: is an excellent disinfectant. (It has been suggested to replace this with ethanol or 100 proof alcohol in solution with water. There is some indication that isopropyl alcohol buildup contributes to illness in the body. Cornstarch: can be used to clean windows, polish furniture, shampoo carpets and rugs. Trisodium phosphate (TSP): a mixture of soda ash and phosphoric acid. TSP is toxic if swallowed, but it can be used on many jobs, such as cleaning drains or removing old paint, that would normally require much more caustic and poisonous chemicals, and it does not create any fumes. Exchange Indoor Air: Many modern homes are so tight there's little new air coming in. Open the windows from time to time or run any installed exhaust fans. In cold weather, the most efficient way to exchange room air is to open the room wide - windows and doors, and let fresh air in quickly for about 5 minutes. The furnishings in the room, and the walls, act as 'heat sinks', and by exchanging air quickly, this heat is retained. Minimize Dust: Remove clutter which collects dust, such as old newspapers and magazines. Try to initiate a 'no-shoes-indoors' policy. If you're building or re-modeling a home, consider a central vacuum system; this eliminates the fine dust which portable vacuum cleaners re-circulate. Keep Bedrooms Clean: Most time is spent in the bedrooms. Keep pets out of these rooms, especially if they spend time outdoors. Use Gentle Cleaning Products: Of the various commercial home cleaning products, drain cleaners, toilet bowl cleaners and oven cleaners are the most toxic. Use the formulas described above or purchase 'green' commercial alternatives. Avoid products containing ammonia or chlorine, or petroleum-based chemicals; these contribute to respiratory irritation, headaches and other complaints. Clean from the Top Down: When house cleaning, save the floor or carpet for last. Allow time for the dust to settle before vacuuming.